The new year is now well underway, and here at Random Acts we’re looking forward to filling 2018 with amazing acts of kindness. But before we plunge into this year’s projects, we wanted to take a moment to look back at our 2017 milestones, and celebrate all that our supporters helped us achieve. January 2017 marked the start of the official Year of Kindness in Juneau, Alaska, led by our friends at the Juneau Police Department. Throughout their #2017YOK, Juneau residents came together to organize events including food donation drives and a Cocoa and Kindness evening. The city even pledged to keep the kindness going in 2018! 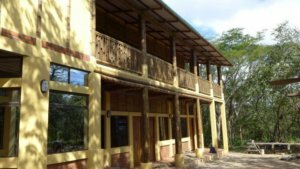 In San Juan del Sur, Nicaragua, the local crew worked tirelessly to complete the Free High School’s beautiful new campus, which Random Acts is proud to sponsor. A small group of staff and volunteers were there for the opening of the first building early last year, and another trip is planned in 2018 for the launch of the finished campus. Meanwhile, supporters and partners were every bit as tireless in their fundraising efforts. A live-streamed Saturday Night Special concert in January 2017 raised over $64,000 for the school. Later in the year, an incredibly generous grant from our new partner Child’s Play equipped the campus with state-of-the-art technology — from audiovisual equipment and computers to sustainable water treatment and solar power systems. Our amazing supporters paired with Wish of a Lifetime to bring joy to senior citizens, and pushed themselves to the limit for the annual Endure4Kindness (E4K) fundraiser in April 2017. Act Global saw Random Acts staffers take to streets, parks, and beaches around the world to #GetKind for the environment. 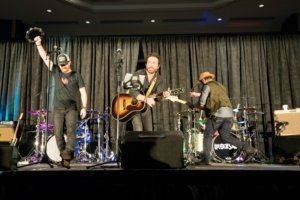 Our staffers were also present at numerous Creation Entertainment conventions during 2017, where they met with supporters and Supernatural fans, and teamed up with local non-profits in each city. In August, we announced the amazing winner of our Class Act award program 2016-17, the Undercover Kindness club of the Marc Garneau Collegiate Institute in Toronto, Ontario. The same month, we joined forces with our GISHWHES cousins and photographer Giles Duley to save a truly inspirational dance school. GISHWHES was also at the heart of our 2017 Annual Melee of Kindness (AMOK), where participants traced out messages of love, hope, and kindness via GPS tracking apps, performing acts of kindness along the way. With September came changes to the Random Acts family, as we said goodbye to long-time Executive Director Cinde Monsam. Happily she didn’t go too far, remaining on the Random Acts board as we welcomed Rachel Miner as our new Executive Director. The last months of 2017 brought challenging times to residents of Texas, Puerto Rico, the US Virgin Islands, and many other areas which were severely affected by a series of hurricanes. The Family Business Beer Co responded by teaming up with Random Acts for the Stronger than Storms campaign, which has raised over $469,000 for hurricane-hit communities to date. Finally, we rounded off the year by spreading a little #HolidayKindness. Thanks to funding provided by our supporters’ donations throughout 2017, Random Acts staffers were able to carry out dozens of acts of kindness in December. We’re very excited to see what 2018 will bring, and we hope you are too. For now, we’d like to take a moment to recognize that everything we achieved in the past 12 months was thanks to the generosity of our supporters. Whether you donated, volunteered, raised awareness, or inspired others to #GetKind, your efforts made the world a better place.